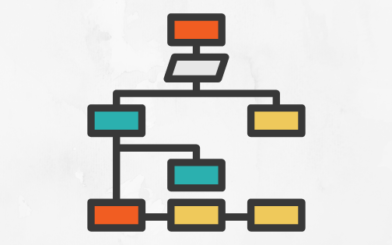 Position #1 has undoubtedly been the Holy Grail of web marketers and SEOs for years. But what if we told you that position #0 was better than position #1? Now, before you trip out, let us explain. For the past 2 years Google specifically has been releasing and rolling out an increasing number of featured snippets. By now we expect most of you have encountered featured snippets, or perhaps you did and just didn’t know what they were. Much of this can be summarized simply by pointing you in the direction of how we all have come to evolve as online users. We no longer go to a search engine to ask simple answers. 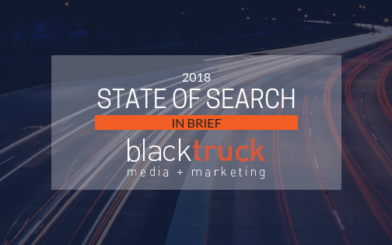 With an ever increasing use of mobile devices, voice search and location-based queries taking place, users are asking questions and seeking out information that just wasn’t tackled a couple of years ago. Questions have become more conversational, or natural speaking. The What, Why and How questions being asked are those that we see the engines honing in on the most and being selected for a featured snippet spot. There are many speculations as to why Google has made the decision to increase its number of featured snippets, we would rather leave that up to the conspiracy theorists and move on. While the exact science behind what goes into securing a featured snippet will continue to be a mystery for obvious reasons. Google. Many of us in the industry are doing our diligence to read, study and try to understand the components that go into featured snippets. Dr. Pete Meyers from Moz has one of the best pieces out there right now on ranking for position #0. Note: it’s long and super geeky. But if you’re into it, take the jump! Dr. Pete discusses 2 key factors in every eligible featured snippet that the team at Moz had tracked. 1 – Your site, or URL, must rank on the first page of Google to be eligible. No second page winners here, yet. 2 – Your content must be relevant and effective to answering the question or query being positioned by the searcher. It is also good to point out a reminder that many of the featured snippets found in Google SERPs right now are very focused on strong Q&A type queries and results. Let’s get tactical and outline ways in which you can work on your site to improve its chances at landing position #0. Keeping in mind that many of the featured snippets found in Google SERPs right now are very focused on strong Q&A type queries and results, not basic searches. Sticking with longer, more complex type questions will aid in your site’s chances. If Google’s quest for featured snippets is to save a user time, the more complex a question is, the more likely you have a shot at being included. If you are in the B2B space, a quick conversation with your frontline sales/support team might uncover some golden questions that can be used to generate content that’s viable for a #0 spot. Using the exact question being targeted will not win over the hearts at Google. A complex question is typically going to have a complex answer, right? In the case above, perhaps it is a B2B manufacturer and their goods are produced to a level that meets a particular Mil Spec for military-grade use. Going in more depth to disclose the longer version of how and why their goods exceed such a qualification would certainly be a great direction to head. Researching that Mil Spec might also disclose it is a specific finish-type used on various pieces of equipment in heavy industrial applications, not for the Military. Go beyond your general world and explore all options. As a recap, going after position #0 does not have to be an unattainable dream goal. We do however encourage you, as with any SEO strategy, to be patient. It all takes time. Look at your content and understand the business you are in. Are there questions being asked all the time? Look for unique ways to craft answers into great, helpful content that Google will find valuable to users and serves it up over your competition or that pesky Wikipedia article. In Google’s quest to deliver the best possible answer to users at any given time. Be that best possible answer, achieve position #0, and truly become an authoritative source in your industry.